Millicent Jardine, soprano, was born and raised in Corpus Christi, Texas and moved to Austin in 2001. She completed her Music Studies with Choral Emphasis degree at University of Texas at Austin. Millicent has been a proud member of the Conspirare Symphonic Choir since 2013. She enjoys getting to work with fellow musicians from around the Austin community who truly appreciate what it means to make beautiful music. In addition to being a member of the Symphonic Choir, Millicent also sings on the praise team at her church and is completing her 7th year as the head choral director at the Ann Richards School for Young Women Leaders. In her free time, Millicent enjoys yoga and running around Lady Bird Lake. Her favorite thing to do is spend time with her husband, Eric, while watching their one-year-old son, Ryder, discover his world around him. Michael Feris, tenor and choral music educator, began singing at Kingwood High School with instructor Keith Dixon and earned his Bachelor’s in Music Education from Texas Tech University where he sang under the direction of Dr. Kenneth Davis and Dr. John Dickson. Michael completed his student teaching with Denise Eaton at Spring High School and then taught for 5 years at Twin Creeks Middle School. After 2 years at Clements High School as the assistant choir director, Michael was hired to be the head director at Vandegrift High School in Leander ISD. This is Michael’s fifth year as the head director of the choir program at VHS. Under his instruction, this year the VHS Chorale Women’s choir was selected as the Performing Choir for both the TMEA and the SWACDA conferences. In 2015 and 2016 the group was awarded with performances of distinction at Madrigal Festival. Last year the VHS Women’s Choir and the VHS Chamber Choir were named national winners of the Mark of Excellence award. All VHS choirs competing at the UIL Concert and Sight Reading contest have received sweepstakes trophies for the past 5 years, totaling 15 total sweepstakes awards. Michael recently earned a Master’s in Administration from Concordia University. Daniel Cooper, tenor, is excited to have returned to the Conspirare family this past season after a two year absence from the risers. He first joined the Conspirare Symphonic Choir singing bass in 2008 for Verdi’s Requiem. Daniel is a third generation barbershop singer, “directing” his first chorus at the age of 3. He is an avid quartet singer and a founding member of The Marcsmen, the San Marcos chapter of the Barbershop Harmony Society, who have the distinction of being the first ever International Youth Chorus Champions and currently an International Top 20 Chorus. He has also been previously involved with the Austin, TX and Jackson, MS chapters with his father. Daniel has performed a variety of works in a number different countries, including Scotland, Canada, Germany, Austria, and the Czech Republic. 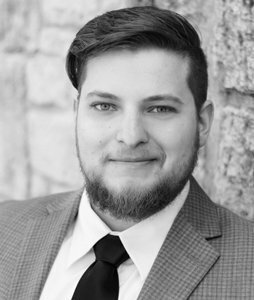 Since 2011 he has been singing under the direction of Rick Gabrillo at St. Louis King of France Catholic Church as a tenor section leader and has been a member of the Schola Cantorum and the Compline Choir. Daniel is a member of Austin’s newest professional choral group the Ars Longa Ensemble. He currently works at the Long Center for the Performing Arts as the Ticket System Administrator and is happy to be serving in the Austin arts community in more than one capacity. Fun fact: Daniel first met Rick Gabrillo in 2000 at Clint Small Middle School. Dionysus, bass, studied music education at Texas A&M University-Commerce where he participated in the University Chorale, Chamber Singers, and men’s chorus. At A&M he was also an active participant in the University Playhouse Theatre, starring in stage plays and musicals alike. Under the leadership of Dr. Jennifer Glidden he played a key role in reviving the Musical/Opera Scenes Workshop with his role as Porgy in Gershwin’s Porgy and Bess. The versatile singer also had the pleasure of premiering James Syler’s Symphony No.1 “Blue” at Carnegie Hall with the University Chorale and Wind Ensemble, and he often lent his vocals to the Mane Attraction Jazz band at A&M for performances of Frank Sinatra’s timeless classics “Under My Skin” and “The Lady Is a Tramp.” Aside from voice, his principle instruments are piano and organ. Dionysus has performed with many groups throughout Austin, TX, most notably Conspirare Symphonic Choir, Amphion Youth Choir (summer chorale and winter chamber ensemble), St. Louis King of France Catholic choir, and St. John’s United Methodist Chorus. 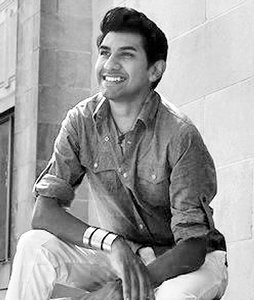 He currently studies voice with Grammy®-nominee Laura Mercado-Wright and also teaches voice at Crockett High School here in Austin. Dionysus’s debut concert, “Under the Stars,” is set for February 19th, 2016 in the Sanctuary of University Christian Church. It will feature a string quartet, percussion, spoken word, and an appearance from Amphion Youth Choir. Surely it will be a night to remember! Lori Fisher is excited to join the Conspirare family for her second season. She currently sings under the direction of Rick Gabrillo with St. Louis of France Catholic Church and as a professional soprano soloist in major cities around Texas. She received her Master of Music from the University of Illinois and her Bachelor of Music from Oklahoma City University, where she studied extensively in vocal and piano performance with renowned faculty, including Dr. Julie and Nathan Gunn, Cynthia Haymon-Coleman, and Larry Wade Keller. Before moving back to her home state, she sang as a soloist and ensemble member in and around Manhattan. There, she studied with Kate Johnson and Kathy Olsen. She also joined the Virginia Chorale for two seasons. Her most notable awards include Regional Finalist in the Metropolitan Opera National Counsel Auditions and Finalist in the L.A. Opera Young Artist Competition. Ms. Fisher has established a private voice and piano studio in North Austin and also teaches privately in Round Rock Independent School District. Miguel Roberts is a student at St. Mary’s University in San Antonio, TX, majoring in Vocal Performance as a tenor. Since 2010, he has been an active member of St. Mary’s Concert Band and Concert Choir, Chapel Choir, Chamber Choir, Woodwind Ensemble, Opera Workshop, and Latin Jazz Combo. His principle instruments, aside from voice, are saxophone, piano, and guitar. He also is a participant with the University Drama Department and has been one of the most influential student conductors the Music Department has come to see. In April he was featured as the male lead in the Opera Workshop’s production of Dido and Aenea, and he was a lead vocalist and soprano sax soloist in the St. Mary’s Latin Jazz Combo at San Antonio’s 2015 Jazz Festival. Miguel has performed with many organizations in Austin and San Antonio, including Central Christian Church (SA), St. Paul’s Episcopal Church (SA), St. Mary’s Cathedral (ATX), Voices of Israel (SA), Alamo City Men’s Choral (SA), Opera San Antonio, St. Mark the Evangelist Catholic Church (SA), and St. Pius X Catholic Church (SA). He served four years at Christ Lutheran Church of Alamo Heights as a choir member, tenor soloist, sax soloist, and Director of the Jubilate Children’s Choir. This coming January 2016 he will be performing with UT Mariachi Paredes in Austin as guitarist and vocalist. Miguel has moved back to his home town of Bastrop, where he is finishing his degree from home. He loves teaching lessons at the local music academy and being a member of the Bastrop Community Choir and Conspirare Symphonic Choir, where he is shared by the bass and tenor sections. Miguel also continues to be an active member in the Ascension Catholic Church Spanish Choirs, playing Latin style piano as well as Flamenco and Mariachi guitar. His favorite hobbies are gardening, painting, recording, and spending time with his two crazy nephews. Lauren Vick, alto, is fairly new to Austin, just escaping the chilly weather in Minneapolis. While there, she sang for just about everyone who would have her: Rose Ensemble, The Singers: Minnesota Choral Artists, Saint Paul Chamber Orchestra Chorale, Gregorian Singers, Consortium Carissimi, the Basilica of St. Mary and the Episcopal Cathedral of St. Mark’s. She also sang for the St. Olaf Choir & Early Music Singers while studying at St. Olaf College. Lauren has been fortunate to explore new works and composers, workshop world premieres, record, tour internationally, and perform at Chicago’s Ravinia Festival along with multiple ACDA conventions. She has collaborated with many music organizations, not only through performance but by volunteering in any capacity needed. Currently, Lauren performs with Conspirare and Conspirare Symphonic Choir as well as with the annual Minnesota Beethoven Festival Chorus. Lauren is also excited this season to be joining a brand new Christmas caroling ensemble, the Tinsel Singers, serving the Austin area. Shawn Hampton just completed his first season as a bass in the Symphonic Choir. 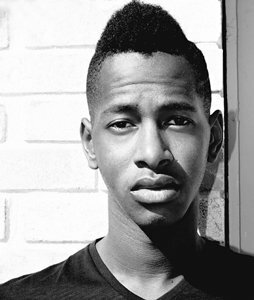 Shawn grew up in Houston and started singing at age six in church and school choirs. He sang in the choir at Memorial High School where he was exposed to the St. Olaf/Christiansen tradition under his director, a protégé of Paul J. Christiansen who was longtime conductor of the Concordia Choir. Attending Christiansen summer choral camps in Bemidji, Minnesota solidified this connection. Shawn attended Texas Lutheran University, earning a B.A in voice. In Dallas, Shawn sang with the Dallas Symphony Chorus, Orpheus Chamber Singers, and at churches and synagogues. In addition to private voice lessons, Shawn teaches students with special needs in Round Rock Schools. A hiatus from teaching in 2001 led Shawn to monastic communities both in the U.S. and in France, with intensive study and daily use of Gregorian Chant. Shawn moved to Austin in 2009 to attend culinary school, and he cooked for several years both here and in Los Angeles. Shawn lives in semi-north Austin with two four-legged “daughters”: Carrie and Sadie. He is an unrepentant foodie, leather bag collector, and total choir geek. Shawn is thrilled to be a part of such a magnificent family as Conspirare. Alto Nancy Lesch has sung in choirs since the age of four and had her first solo at age five (the “donkey” verse of The Friendly Beasts). She holds a BM in Church Music from Belmont University and an MM in Choral Conducting from UT Austin. Early in her musical career Nancy was a director of both church and school choirs. Her love of choral singing continued with ensembles such as Conspirare, the Alexandria (VA) Choral Society and the National Philharmonic Chorale. Nancy has been a leading health and wellness professional for over 25 years, performing a variety of roles including client relations and business development. She is currently Health Solutions Strategist for a wellness company based in Bethesda, MD. She believes music and wellness go hand in hand and encourages others to find their passion, engage deeply with others, and always pursue health of mind, body and spirit. Nancy and her partner Janet were fortunate to be able to return to Austin in the Fall of 2014. They reside in the Crestview neighborhood with their Havanese, Lucy and Stevie Ray. Nancy is thrilled to be singing again with Conspirare and is grateful for old and new connections with choral and instrumental friends. Raised in a large and musical family in southern Minnesota, tenor Bob Clagett sang in a variety of musical groups from a young age, and it remains one of his favorite activities. It has also always been a way of meeting like-minded people in new communities where he has lived, and certainly that has been true of the new friends that Bob has made in both Conspirare and the Texas Choral Consort. Originally a German and history teacher for 11 years after graduating from Brown University, Bob lived in Hamburg Germany for two of those years, where he had the opportunity to perform with the Hamburg Singakadamie (the chorus of the Hamburg Philharmonic) and in the chorus of Hamburg State Opera in several of its productions. More recently he sang with Cantemus, an acapella choral group on the North Shore of Boston, and Vocal Minority, a smaller close-harmony jazz vocal group. Bob moved to Austin in 2012 after living for many years in New England, most of which he spent working in admissions and financial aid at Harvard and Middlebury College. Currently he is the Director of College Counseling at St. Stephen’s Episcopal School. Duane Roth has been involved with the Conspirare family since 2012. Shortly after moving to Victoria, Texas from Dallas he was asked to prepare the Victoria Bach Festival Chorus that would eventually join the Conspirare Symphonic Chorus, Conspirare Company of Voices and other singers to present Beethoven’s Missa Solemnis for the 2013 Festival. Since then he has sung with the Symphonic Choir multiple times and with Craig Hella Johnson in a New Year’s concert in Barcelona, Spain. By day Duane is the Director of Parish Administration for Trinity Episcopal Church in Victoria, Texas. Even though the business, facility and ministry coordination duties keep him very busy, he is also very involved in the music life of the church. He serves as the regular organist for Trinity Episcopal School chapel and special event services and will often serve as substitute organist or director of music for the church. Duane holds a Bachelor of Music in Church Music/Organ from Southwest Baptist University in Bolivar, Missouri and a Master of Music in Church Music from Southwestern Baptist Theological Seminary in Fort Worth, Texas. In his spare time he also sings in the Victoria Civic Chorus, serves on committees for The Children’s Discovery Museum in Victoria and serves on the Board of Directors for the Victoria Symphony. Soprano Kari McDonald has been singing in choirs since she was a little girl. She earned a bachelor’s degree in music from Southwest Texas State University in 1987 and performed in several choral groups, including Austin Lyric Opera. In 1991, Kari was diagnosed with a rare brain tumor and, sadly, left choral singing. Kari completed a Master of Science in Nursing from UT Austin in 2006 and currently teaches at ACC in the Associate Degree Nursing Program. She is excited to begin classes towards her PhD in Nursing this fall with UT Austin. Kari is married to her partner of 17 years, Petti Redding. Their daughters, Julia and Sarah, have been a part of Conspirare Youth Choirs for many years. Kari is thrilled that Julia is now singing with the Symphonic Choir. In 2011 Kari finally built up the courage to audition for Craig Hella Johnson. Singing under the direction of Dr. Johnson has been an indescribable joy for Kari, particularly since she had thought she would never again be able to sing in a large choral group. She is eternally grateful to Dr. Johnson for bringing the gift of choral music back into her life and for every moment she gets to sing with him and the talented members of the Conspirare Symphonic Choir. Born in New York to parents with graduate degrees in music and philosophy, Kendra Lipman’s love to connect music and text was instilled from early childhood. Believing that the purpose of singing and performing is to open minds and evoke emotion, Kendra transfers her distinct love and passion for choral music through her teaching, conducting, and performing. Following a childhood of piano lessons and choral music, Kendra began singing under the direction of Craig Hella Johnson at UT Austin’s School of Music while completing a degree in choral music studies. 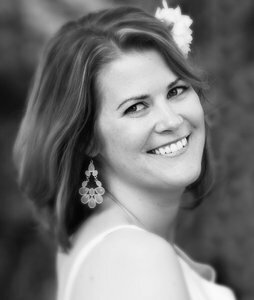 After graduation in 1998, Kendra taught for 10 years at West Ridge Middle School in the Eanes ISD of Austin, where she was named “Teacher of the Year” and was invited to showcase her girls choirs at Texas Music Educators Association conferences and Carnegie Hall, NY. Following her tenure in Eanes ISD, Kendra did graduate work and conducted research at UT Austin in speech-language pathology in an effort to better understand the science of voice training and functions in the brain. There she assisted professors in launching the Sound Brain Lab. More recently, she served as Associate Choir Director at Westwood High School in the Round Rock ISD. For over 10 years she has also served as a choral adjudicator and clinician. Currently she is the Director of Choral Music at St. Stephen’s Episcopal School in Austin and lives on campus with her husband, Sam, 3‐year­‐old daughter, Harper, and 6‐month‐old son, Asher. Kendra feels blessed to be serving her 10th season as an alto section leader with Conspirare. Jack Leifer, baritone, has been singing with Conspirare since the spring of 2007. He first became involved in the Austin choral music scene while an Engineering Graduate Student at UT in the late 1980s, when some friends convinced him to audition for the Austin Civic Chorus after hearing him at a holiday sing-along party. Performing Bach’s Mass in B Minor that season was a rewarding challenge, and Jack became hooked on choral music. Since that time he has been privileged to be a part of the University Chorus at UT–Austin, the Masterworks Chorale at University of South Carolina–Aiken, the Symphony Chorus in Paducah, Kentucky, and the Choral Union at Trinity University in San Antonio, where he now resides. Jack has also served as volunteer Cantorial Soloist at Adas Yeshurun in Augusta, Georgia, Temple Israel in Paducah, and most recently at Temple Beth-El in San Antonio. Jack is an Associate Professor of Engineering Science at Trinity, and he also frequently testifies as an Expert Witness for personal injury court cases requiring the determination of impact forces and vehicle speeds in car and truck collisions. Jack enjoys singing with Conspirare because the level of participation and concentration differs from what is needed for his teaching and consulting work. He is looking forward to performing the “Great Big Choruses” in June. Monica Johnson, soprano, is following her passion teaching school music and theater to elementary children. She also teaches private voice, piano, guitar, ukulele and recorder, and offers music classes for toddlers during the summer. Touching the lives of children, opening them up to the wonders of music, is such an exciting adventure and Monica loves every minute! After graduating from Eastern Illinois University with a Music Education degree and a minor in French, Monica earned her Master’s degree in Vocal Performance & Literature, as well as the Performer’s Certificate, from the Eastman School of Music. Monica met her husband David while at Eastman. Upon graduating, they moved to Rio de Janeiro, Brazil where David re-assumed his position as Principal Timpanist of the Orchestra while developing a Master’s Degree Program in Percussion as a Fulbright Professor. Monica taught both in the American School as well as in the British School, developed music programs for toddlers, and performed professionally throughout the country. David and Monica have been married for 32 years and have one daughter, Katie, who is an Art Director at a local advertising agency as well as a singer/songwriter. The entire family performs on David’s CD Memories of Brazil which features Brazilian music of Ney Rosauro. Katie performs original lyrics and Monica sings in Portuguese. David, vibraphone, has several Brazilian guest artists on this wonderful CD. It’s not just about me! It’s about those who have brought me here. My passion for music was molded by people who have imparted their love and experience of music to me since birth. At home it was my parents (playing the records!). They, my grade school music teachers and Megan Meisenbach encouraged and mentored me to play recorders, flutes and piccolo. Lanier Bayliss introduced me to the joy of choral singing at church. I have been involved with church and choral organizations ever since, under the batons of Russell Schulz, David Stevens, Doug Kirk (EME) and Danny Johnson (EME and TEMP), Barry Williamson and Brent Baldwin (TCC), and Craig Hella Johnson. Eternal thanks goes to Sylvia Gallo who said I was not a tenor! Around 2003 I began singing with Conspirare Symphonic Choir. I am a part of this amazing group and organization because of those who have taught and encouraged me throughout my life. Roland Barrera, baritone, is a native South Texan and an alumnus of the Texas State University School of Music. He studied choral conducting with Dr. Joey Martin and voice with Dr. Sam Mungo. He has also studied at the University of Texas at San Antonio where he received the Kathleen Weir and Albert Vale Vocal Scholarship. Roland also participated in the Professional Choral Institute at the University of South Florida in Tampa which was in collaboration with Seraphic Fire from Miami. He has gone on choir tours throughout the United States, Eastern Europe, and South Africa. He first sang with Conspirare during the summer of 2008 when the Texas State Chorale joined the performing forces for Verdi’s Requiem. He also worked with Conspirare during the summer of 2013 when he was the Production and Artistic Operations Intern. He currently works full-time as the Box Office Coordinator for the brand new Tobin Center for the Performing Arts in San Antonio, and he works part-time as the Assistant to the Music Director at St. Mark’s Episcopal Church in San Marcos. Roland is eternally grateful for the leadership and guidance of his wonderful mentors at Conspirare who are Ann McNair and Craig Hella Johnson. Jake Jacobsen, baritone, is currently a DMA student in Vocal Performance and Pedagogy at the University of Texas at Austin. With the Butler Opera Center, Jake has performed the roles of Don Alfonso (Cosi fan tutte) and Chip in Daron Hagen’s New York Stories. Jake has also appeared in the chorus for several of Austin Lyric Opera’s productions, as well as in a comprimario role as a slave in the Fall 2011 production of Die Zauberflöte. In addition, Jake has sung with the Gilbert and Sullivan Society of Austin and has been employed as a Section Leader for the Conspirare Symphonic Chorus since the 2011-12 season. Last summer, Jake was a Young Artist at the Opera Theater of Pittsburgh, where he played the role of Cascada in The Merry Widow. Jake is currently a student of Donnie Ray Albert. Like many singers, Joe Loukotka began singing in his church choir at a young age. Becoming a bass, a cappella choir in high school was followed by several years in the Lyre Male Chorus (a German men’s chorus) and in the University Of Michigan Choral Union. Upon moving to Milwaukee, Joe spent 17 years with the Bel Canto Chorus, also serving on their board. A relocation to Madison saw him sing with the Madison Symphony Chorus for three years before moving here to Austin where he joined the Austin Civic Chorus and helped form the Texas Choral Consort, serving as its first board president. A significant highlight in all of this singing occurred back in 2008 when Joe auditioned for Craig Hella Johnson and became a member of the Conspirare Symphonic Choir. Having retired several times, music — singing really — has been and continues to be the constant that makes life here in Austin so wonderful for Joe and his wife Marcia. Christy was born to a musical mother who instilled in her the love of singing. Attending high school in Victoria, Texas, Christy was blessed to sing under the direction of Rebecca Dawson who taught her how to sightread, musical techniques for choral singers, and ultimately to find her voice. This passion followed her into her collegiate career. Christy began singing with the Victoria Bach Festival in 2003 and is honored to begin her 10th season with the Conspirare Symphonic Choir. She also had the unforgettable pleasure of singing back-up for Andrea Bocelli in 2012. Christy also sang with the Irving Chorale for a New Year’s Eve Festival in Barcelona, under the direction of Craig Hella Johnson. Other solo works she has performed include Handel’s Messiah with the Victoria Civic Chorus, Saint Saëns’ Christmas Oratorio and Vivaldi’s Gloria with the First United Methodist Church of Victoria, and Don’t Tell Mama in New York City. Christy is extremely grateful for the numerous opportunities to sing with Craig. In addition to many wonderful musical experiences with her fellow musicians, she has learned that every person has a story to be celebrated, and by appreciating that we all create something beautiful. Bass Bruce Haufler started his choral journey in 1970 when he started singing in the 4th grade choir. He has been singing in choirs ever since. While not pursuing music professionally, it has always been a wonderful and important part of his life. In his early years Bruce sang throughout grade school and high school. His experiences singing in an award-winning high school choir instilled in him a passion for choral singing. While in college, where he received a BS and MS in Aerospace Engineering, he sang in the University of Texas Concert Choral and in the choruses of several UT operas (Die Fledermaus, Macbeth, Dialogue of the Carmelites, Madame Butterfly). After college, he sang with the Houston Symphony Chorus for several seasons from 1984 to 1993 where he had the honor to be directed twice by Robert Shaw. Since moving to Austin permanently in 1993 he has sung with the Austin Civic Chorus, the Texas Choral Consort, Conspirare’s Symphonic choir, and a number of other choruses. Bruce has been honored to sing with Conspirare’s Symphonic Choir since 2007 where he has grown as a musician under the batton of the renouned Craig Hella Johnson. When not singing or working, Bruce enjoys his other passion: partner dancing. Symphonic Choir alto Helen Hays has been a volunteer with Conspirare since its earliest days in many different roles including Office Manager, stage crew, out-of-town singer host and former Board President. Helen also sings with Texas Choral Consort and with her church choir, St. James’ Episcopal Church in La Grange. Helen has had a variety of wonderful Conspirare experiences through the 20+ years, but a true highlight was travelling with the Company of Voices to Normandy and Paris in the Fall of 2012. Helen and husband Bob are passionate about Conspirare, honored to be a part of this amazing organization and enjoy sharing the fabulous music with friends from different places – Conspirare CD’s make great hostess gifts! Symphonic Choir bass Michael Kriese was born and raised in Austin, TX. He is first and foremost a dedicated father and all-around family man. Michael’s first introduction to the world of classical music was through the Music Memory program in elementary school. He would later join the choir at Travis High School (thinking he could get a free trip to Six Flags) and has been singing in choirs ever since! He is ever grateful to have sung in the Texas All-State Mixed Chorus, The LSU A Cappella Choir, and with LSU Opera. From 2005-2013 he was the bass section leader at Central Presbyterian Church with Cindy Couch. Michael is so thankful to be in his second season with Conspirare Symphonic Choir and knows that he has found a home here. He is fascinated by the power of music and feels overjoyed to be in such fine company. During the week Michael can be found at the TownLake YMCA building Lego masterpieces with the kids or rocking babies to sleep. He also has interests in wireless electrical transfer, history, archaeology, aviation, crypto-currencies, and mysteries. A baritone, Benjamin King is Professor Emeritus of Voice and former Director/Associate Dean of the Greatbatch School of Music, Houghton College, NY. In addition, he served as Professor and Chair of Music at Sam Houston State University in Huntsville, Texas. Ben holds the DMA in vocal performance and music literature from the Eastman School of Music. A native of the Texas Panhandle, he earned B.Mus. and M. Mus. degrees in vocal performance from Texas Tech University. Ben has appeared with Houston Grand Opera, New Orleans Opera, Gulf Coast Opera, Western New York Opera, Eastman Opera Theater, and the MasterWorks Festival Opera. Ben is a member of the National Association of Teachers of Singing and the College Music Society. He has served as a National Association of Schools of Music senior visiting evaluator, where he is also a consultant, and is Past President of the New York State Association of College Music Programs. In addition to assisting in the production office of Conspirare and singing with Conspirare Symphonic Choir, in Austin Ben teaches voice, is a volunteer driver for Faith in Action, and is a wood-carver. He and Vicki, his spouse of 40 years, have three sons and four grandsons. My name is Eli Salazar and I was born and raised in Del Rio, TX. I remember being as young as six years old and falling asleep next the speaker while music was playing during family functions. Having a father and aunt with very beautiful voices and an uncle singing lead with his own band, that’s when I realized I also had the passion and gift of music. During high school, in 1997, I had the great privilege of singing with the Texas All-State Choir under the direction of world-renowned composer John Rutter. Also under his direction, I participated with fellow choristers from around the country to sing Fauré’s Requiem at Carnegie Hall. After high school I stayed active in music by singing with Del Rio’s community choir, performing many pieces including Handel’s Messiah, composing choral music, and playing my keyboard. Shortly after moving to Austin in October 2011, I auditioned and became part of Conspirare as a Tenor I. My family came to see my first concert with Conspirare, when we performed with Andrea Bocelli during his Valentine’s Concert. They were overwhelmed! That same year I was also the tenor soloist for the Christmas Oratorio by Saint-Saëns which I performed in Victoria. Nothing like moving the audience to tears! I’ve been singing with Conspirare ever since and still enjoy every moment of it, from rehearsal to the last note of a concert, to hearing the audience clap and cheer with much joy and praise! It’s truly a heart-warming experience, and it gets me every time! Jim’s lifelong love of music has been enriched along the way by particular people. An eighth grade music teacher, Barb Wymore, helped him find his voice. In 2007, Jim found inspiration again, singing with the St. Martin’s Lutheran Choir under the direction of Thomas Pavlechko. The next year, Thom encouraged Jim to add his vocal, flute and guitar talents to the Reformation Band. In 2009 he began to study the flute in earnest, with Seetha Shivaswamy and Megan Meisenbach. Jim has taken vocal coaching from Jos Milton, Brad Raymond and David Small. Jim joined Conspirare in 2010 as a tenor under Craig Hella Johnson. He lives in Austin, Texas and has performed as a soloist with St. Martin’s Lutheran in Austin, First United Methodist, Austin (musical direction of Mela Sarajane Daily) and First Reformed in Grandville, Michigan. Highlight performances include: Carmina Burana, Missa Latina, Chichester Psalms, Symphony of Psalms, TED Event, British Isles Music, Missa Solemnis, Conspirare with Andrea Bocelli, and Victoria Bach Festival. Jim also performs community outreach with voice, flute and guitar. Glenda attended her first Conspirare concert in 1991, when our name was The New Texas Festival. She’s been a season ticket holder ever since. She sang with the Berkshire Choral Festival in Massachusetts when Craig conducted Elijah in 2006, and was hooked. She has been a member of the Symphonic Choir ever since. A side note: Glenda loves hosting out-of-town Conspirare artists during their Austin performances. Glenda, an alto, also enjoys singing with Texas Choral Consort and the Good Shepherd Episcopal Church choir. Kathy Leighton, alto, has been singing with Conspirare Symphonic Choir since August 2011 — beginning with Holst’s “The Planets” and Debussy’s “Nocturnes”— and was thrilled to have performed with the chorus and Andrea Bocelli this last February. Kathy’s musical background includes a bachelor’s degree in music education from Sam Houston State University in Huntsville, TX and 23 years of service as the music minister for the First Presbyterian Church in Georgtown, CO. While living in Colorado, she also performed with the “No Name Band” and taught in public school for 16 years. Eva Laskaris, soprano, began singing with the Conspirare Symphonic Choir in 2004. Eva majored in voice and choral arts under the direction of Dr. Andre Thomas as an undergraduate at Florida State University and also earned a Master of Arts degree in communications. Led to arts administration, Eva became a grants administrator for State-funded arts programs in Florida’s Division of Cultural Affairs and later a publicist for a private communications company in Tallahassee, Florida. After moving to Austin in late 2000 with her husband and son, Eva took time from her professional aspirations to have two more children and remained primarily a full-time mom until four years ago. Though her family was her principal focus, she served in several organizations as a musician, a manager for music education programs, a director, and a board member. Currently, Eva enjoys helping young people discover their instruments as a voice teacher at St. Stephen’s Episcopal School in Austin. Eva’s experiences – both as a musician and as a patron across a broad range of genres – fuel her belief in the arts as powerful sources of enrichment for the human experience. She feels blessed to be part of Conspirare’s delightful community of singers! Katie Lessley, alto, moved from Dallas to Austin in 1998 to attend the University of Texas. After one miserable semester as a math major, she thankfully found a home in the music school. She had the good fortune of being conducted by Dr. Craig Hella Johnson, UT’s Director of Choral Activities. After earning a BA in Music, Katie wandered a bit until she met and started recording with Scott E. Stephen of Primitive Noise. After a long hiatus from a choral setting, Katie felt she might be losing her choral muscles. Katie started singing in the Conspirare Symphonic Choir in the Spring of 2008. That summer, Conspirare brought Verdi’s Requiem to the Victoria Bach Festival. She’d sung the same piece with Dr. Johnson’s New Texas Festival while attending the University of Texas in 1999. Singing something familiar made the transition back into choral music much easier. She had once again found a home amongst choir folk. Katie currently works for the Dean of the Communications Division at Austin Community College. When not serving as an avid student advocate at work, she is playing folk music with her uber-talented musician friends. She still finds time for karaoke whenever possible. Jack Byrom, tenor, is an Austin native who grew up surrounded by music. Indeed, while in high school Jack had the pleasure of seeing Conspirare perform numerous times, never imagining he would one day perform on stage with them. While earning his degree at The University of Texas, Jack had the pleasure of singing with Chamber Singers and Concert Chorale as well as Longhorn Singers, which he served as President. By being a part of these world-class ensembles, Jack had the chance to perform some outstanding and fulfilling music, an experience he truly missed after graduating. However, it was after just one year that Conspirare provided the opportunity he had been missing. This group pushes musical boundaries every time it meets, constantly striving to make better music with each breath. It is a truly humbling experience, and one that leads Jack to balance time in unusual ways, such as cramming for a final exam in between performances backstage, and he would tell you that it was totally worth it. Jack recently received his Doctor of Jurisprudence from The University of Texas School of Law and is truly grateful for the opportunity to make great music with great people. Mary Anne Connolly, alto, began singing at three, performing “The Impossible Dream” for her parents using a plastic toy golf club as a mike. Both were singers and fans – Dad sang in the Chordsmen Barbershop chorus and Mom bought season tickets to the San Antonio Symphony. She studied ukulele in Hawaii at age six, then piano and voice at age 10. Mary Anne studied with Rosemary Grimes in San Antonio before joining UT’s University Chorus. Upon graduation, she moved to New York and sang with St. Patrick’s Cathedral Choir under John-Michael Caprio. Mary Anne spent 15 years in New York working in PR and production at ABC’s 20/20, Fox News, and others. In 2003, she returned to Austin and joined St. Theresa’s Catholic Church Choir, while working as managing editor of Brilliantmagazine. Soon after attending her first Conspirare concert, she heard auditions announced on KMFA and went. She was asked to join Symphonic in 2004 and has participated in nearly every season since. In 2011 Mary Anne was invited to Conspirare’s board. Contributing to Conspirare’s future as both a singer and board member fulfills a lifelong dream of making music an integral part of her life. After six years as executive editor of Austin Woman magazine, Mary Anne now works as a media and PR consultant with nearly 25 years’ experience in local and national news media. When not working or singing, she learns guitar, enjoys Austin’s live music, film, food, wine, education and outdoors, and pursues travel and fun with family and friends. Gerard Souzay gave him those lessons when Jerry returned to UT to earn his electrical engineering degree. Jerry now works at Cirrus Logic. Although he hadn’t been in a choir in over 30 years, Jerry joined the St. David’s Choir in 2010 to sing with his then 16-year-old son Julius. That year, father and son attended the Tallis Scholars Summer School. The application had a question about Jerry’s aspirations as a singer. His response was, “to sing with Conspirare.” With the opportunity to sing Stravinsky’s Symphony of Psalms as added incentive, Jerry auditioned last fall. He is thrilled to stand and sing among these wonderful singers. Louis Renaud is Deputy Commissioner for Energy Resources at the Texas General Land Office. Before coming to Austin in May 2005, he lived in Midland, Texas and was self employed in the oil and gas business for 29 years. He became interested in choral singing as an undergraduate at Tulane University. In addition to singing in the Tulane University Choir, he also played guitar and sang in a campus pop group called the Tulanians. As a “Tulanian” he toured Germany and Holland in the summer of 1973 to perform for USO at US Army and Air Force installations. As a Midland resident, Louis sang many seasons with the Midland Odessa Symphony and Chorale, as well as participated in various Midland Community Theater (MCT) musicals such as “Annie Get Your Gun,” “Pirates of Penzance,” and as Jinx in “Forever Plaid.” During the summer of 1997, the MCT “Forever Plaid” cast went to Guyana and performed at several venues to raise money for the American Red Cross. For more than 20 years, he and his wife, Lynn, were members of an “adult garage band” known as the Pulsations. In addition to singing second tenor in Conspirare, Louis plays guitar and sings with other pickers and players in and around Austin. He recently celebrated his 35th wedding anniversary with Lynn, and they have two sons, John and Charles. Alto Flo Ann Randle joyfully and passionately participates in Conspirare Symphonic Choir— not backed by a solid music degree — but by English and history degrees (maybe they help). Her first almost-spiritual musical memory occurred in a high school regional choir in Eden, Oklahoma, with many, many voices singing “Let Us Break Bread Together.” Marvelous young basses carried the day. It was the beginning. College offered sideline music, but music did continue in those years. Eventually consistent and regular voice lessons with three different teachers along the way brought focus. Berkshire Choral institute offered the delight of singing not only in Berkshire, Massachusetts, but also in the wondrous Canterbury Cathedral twice and the magnificent Salsbury Cathedral twice. One of Flo Ann’s current delights is singing monthly with the small Good Shepherd Episcopal Church Evensong Choir, worshipping along with an intimate evening congregation. In the past she has sung with Austin Civic Chorus, Texas Choral Consort, and various church and civic choirs. Flo Ann’s non-music life revolves around being a mother, grandmother, realtor, Rotarian, book club devotee, Heritage Society member, and what Austin offers. She believes that the Symphonic Choir is a top priority for its singers — the singers deliberately set aside time for it — in spite of busy lives. She deeply appreciates the privilege of participating because of the spiritual plateaus, enriching challenges, everyday basic joy, and friendships. 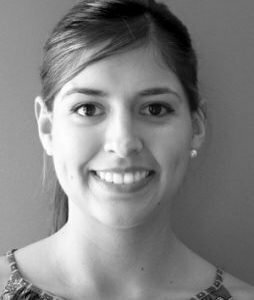 Michelle Barrientes earned a bachelor’s degree in choral music studies from the University of Texas at Austin and will graduate with a master’s degree in music education from the University of North Texas in May 2012. Michelle is currently Head Choir Director at Lamar Middle School Fine Arts Academy in Austin, TX. She was named AISD’s Campus Teacher of the Year in 2008 and has also been named Teacher of the Week by KXAN News. The Lamar choirs have earned numerous awards and recognitions: superior ratings at the annual UIL Concert and Sight Reading Contest; superior ratings in the Schlitterbahn Soundwaves Competition; and superior ratings and Best-in-Class ratings at the Music Choice Festival in San Antonio, TX. The choirs have performed at the Texas State Capitol as well as in Washington D.C. and have received a proclamation from former Austin mayor Will Wynn. This is Michelle’s 5th year in Conspirare where she sings alto. She is grateful for the many opportunities to sing beautiful and challenging music and to collaborate with the many talented members. Alto Agatha Torku currently works at the University of Texas at Austin in the main library. She has an undergraduate degree in music. Before moving to Austin, Agatha started her musical journey with Gary Palmieri, her high school choral director. Somehow she found herself in a youth choir festival singing John Rutter’s Te Deum and Gloria at Carnegie Hall, with the composer as director. Agatha is thankful for Mr. Palmieri and for the long line of directors and voice teachers who helped prepare her for serious musical training. At UT, Agatha first started her studies in music with an emphasis in choral conducting but switched to a general music degree with a major in voice and a minor in psychology. She studied voice with David Dillard, Jess Walters, Tim Lovelace, and with Jos Milton for a teeny bit. Agatha eventually acquired an M.S. in information studies and has remained musically active by singing in various choirs around town. She was very thankful when she heard she was allowed to join the Conspirare Symphonic Choir — she now aims for the high caliber of musicianship expected of the ensemble. Klaus Bichteler was born in Leipzig, Bach’s city, at the beginning of WWII and has been growing older steadily ever since. He got his PhD in physics, got called to the US to help ward off the Russians and their Sputnik, and ended up teaching mathematics at UT. When his friend Nancy threatened to address him henceforth as Coward instead of Klaus unless he auditioned for Morris Beachy’s Town-and-Gown choir, then the only choir in town, he did, rationalizing that this should be less frightening than tangling with the Russians. It was not. Subsequently his life was wonderfully enriched by singing with Beachy and many other choirs as they grew up in Austin. Conspirare gives him great joy. Here he learns modern, moving, and pertinent music every year. From the director and his amazing associate directors to the singer at the end of the back row, no one carries the monkey of self-importance on his shoulder. The company is totally devoted to Music and her influence on people’s lives. This choir truly breathes music together. Klaus is grateful for the privilege of being part of Conspirare; and he owes Nancy. Kirsten loves singing with the talented Symphonic Choir, and she is happy to share her passion for music with such a welcoming and acclaimed group. Originally from Cranston, Rhode Island, tenor Raymond Votolato moved to Austin in 2003 to attend the University of Texas. With a master’s degree in Music and Human Learning, Mr. Votolato became music specialist at Williams Elementary School, where he is now in his sixth year of teaching, establishing the Williams Elementary School Choir and the Williams Percussion Ensemble. Mr. Votolato has attended workshops with founder and former artistic director of the Toronto Children’s Chorus, Mrs. Jean Ashworth Bartle, and has thoroughly enjoyed observing great choral directors from around Central Texas, including Conspirare’s own Rick Gabrillo and Nina Revering! 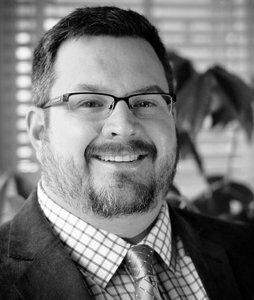 Mr. Votolato studied voice privately with Dr. Bruce Cain at Southwestern University and has also sung with the San Gabriel Chorale. His introduction to Conspirare was a Youth Choirs concert followed by a stunning performance by the Company of Voices, which included Samuel Barber’s breathtaking setting of Agnus Dei. After studying for several years with Dr. Cain, Mr. Votolato auditioned for the Conspirare Symphonic Choir. He continues to receive great joy from each rehearsal and performance. He is humbled to work with such an amazing organization and hopes to continue learning about and singing such inspiring and thought-provoking music.